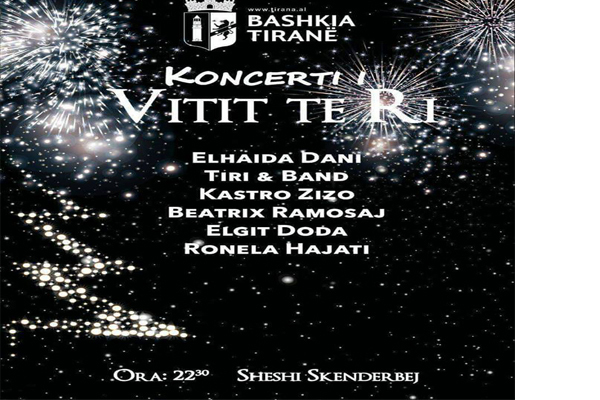 Take your family and friends and be part of the grand concert of the New Year’s Eve in Tirana. The concert will take place on Skanderbeg square, at 22.30 until midnight. After the concert, wait for the fireworks spectacle organized by Municipality of Tirana. Singers: Elhaida Dani, Tiri & Band, Kastro Zizo, Beatrix Ramosaj, Elgit Doda and Ronela Hajati.